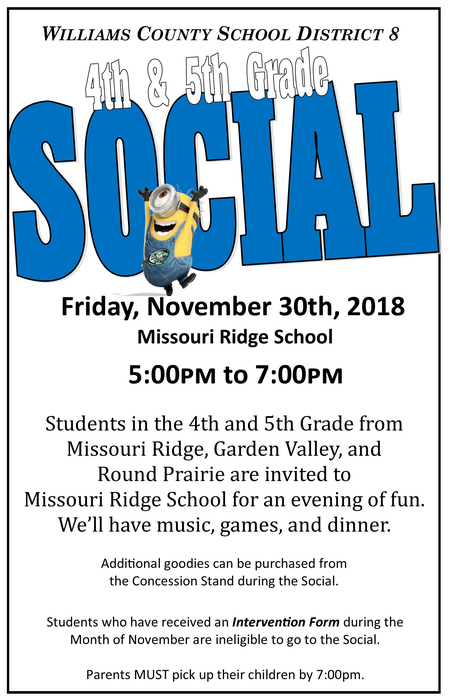 Students in the 4th and 5th Grade from Missouri Ridge, Garden Valley, and Round Prairie are invited to Missouri Ridge School for an evening of fun. 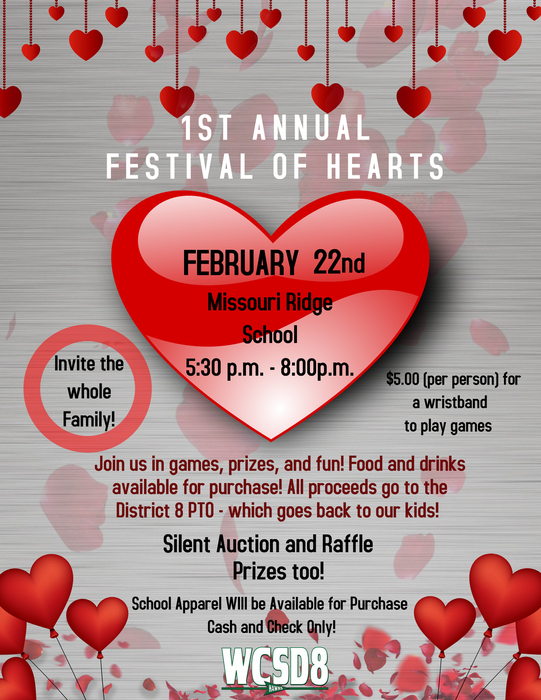 We’ll have music, games, and dinner. Dinner will include a hot dog, chips, and cookie. Additional goodies can be purchased from the Concession Stand during the Social. Students who have received an Intervention Form during the Month of November are ineligible to go to the Social. Parents MUST pick up their children by 7:00pm. You are cordially invited to attend a parent informational meeting on August 16, 2018 from 6-8:30 pm, at Garden Valley Gym. Refreshments and child supervision will be provided. Parent/student handbooks, class lists, class schedules, will be distributed. Letters will be mailed soon. 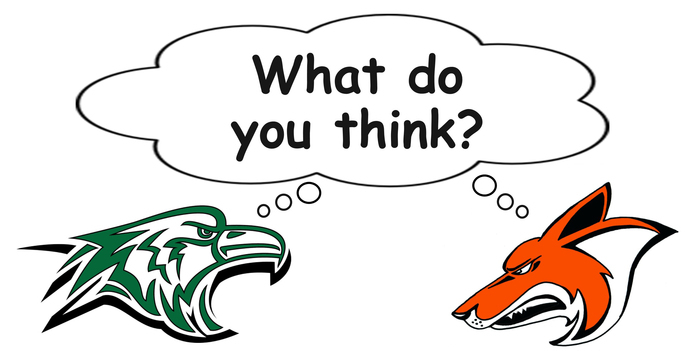 To find out who your child's teacher will be at Garden Valley, call the district office, 701-572-6359.